Business expansion and acquiring new leads go hand in hand! So, are leveraging the power of SEO (Search Engine Optimization) a part for your lead generation initiatives? If not, you are indeed missing out on critical organic leads. It can help your website to gather extra organic traffic, which can be your organic leads gradually becoming permanent customers. With SEO you can expect your search ranking to go high. It can be due to high-quality content and rich keywords. But you’ll see an improvement for sure. Your potential customers are always searching for selected keywords. And when they find a matching and relevant content with that keyword online, they start to link back to your website. It helps in generating organic traffic. When your web content caters to all the user requirements, there’s a good chance of converting the visitors to leads. It would eventually result in good sales. Simply put, SEO acts as a funnel getting a cluster of leads to the website, thereby making your site as a smart lead generation tactics. Want to leverage this? You will have to curate and also optimize quality content, for the searchers and search engines know the utility that your company provides. Want to get in touch with a professional SEO agency to receive guidelines on this? If yes, you can reach out for SEO York PA Vision Smash and ask for professional assistance. Know the difference between SEO for lead generation with general lead generation strategy? Cold calling once was considered one of the commonly used lead generation methods. Today, cold calling isn’t much effectual. Instead, it’s obsolete. On the other hand, SEO is an aspect of inbound marketing that ultimately helps the leads to locate your business online. Also, the SEO sales lead that find you are bound to be more receptive in comparison to the individuals you approach via the cold calls randomly. In addition to that, when you enhance your content using SEO, it is useful in getting more web traffic over a span of time. Only through an accurate SEO audit, you will know which area of your website requires an edit. Simply put, an SEO audit is a perfect way to analyze your present state. It will help you to locate loopholes in your SEO strategy. Furthermore, through this, you can recognize areas of improvement both offsite and onsite. Evaluate your website performance closely. Also, check if you are keeping up with the best SEO practices. These strategies are instrumental in enhancing your SEO based lead generation tactics. Additionally, keep a check if there are SEO Meta titles in all your web pages. You may also check for essential descriptions. Make it a point to check whether each page targets a particular keyword as well as sub-keywords. And are you making use of those keywords to update the content of those web pages? When you conduct a detailed audit, it provides you with a future roadmap about how to go ahead with your SEO plan. Some of the useful SEO audit tools include and SEOptimer. 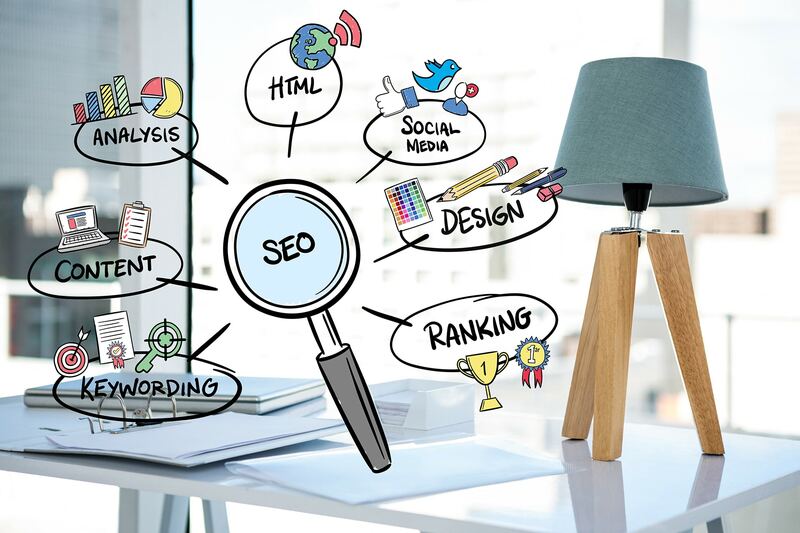 Several companies and online businesses might take about six months to around one year to start noticing significant organic traffic using SEO lead generation strategies. Google and the other search engines also emphasize on the websites that have been present for a long time. And at times, you might require many months before you start getting organic traffics for real. Do you want to speed things up? Do you want to start ranking in the search results early? If yes, then using long-tail keywords is a good solution. These keywords as the name suggestions comprise of two and more phrases or words. Usually, these keywords are decidedly less competitive, and it’s also much easier to rank for these keywords. There are times, where you might start to see results even before six months. Are you spending ample time trying to write a high-quality, informative, original and plagiarism free 3,000-word blog post? If yes, then you can also try and make intelligent use of it in as many were as possible. When curate compelling long-form content, you commit a few days to get this done in the best possible way. When you research, you automatically end up investing time to as well as releasing it in multiple media assets. It ensures that your company with its keywords and content performs well during an organic search. It helps to stretch the expanse of your initial work. And it also helps to accumulate more SEO leads over a span of time. You can always add in a media to your web page in addition to the original article. And it will help your article to rank high. It’s because Google gives benefit to those content that has rich media, but it doesn’t bring down the web page loading speed. Lead generation is the way to business development and expansion. Progressive and ambitious online business owners are always looking at ways to expand business and procure new clients. Using the above-discussed SEO strategies you can draw in quality sales leads and convert the same to loyal customers.